CCTL is a communications consulting firm, specializing in providing complete technology solutions for transport and delivery of data, voice and video services over the IP infrastructure . 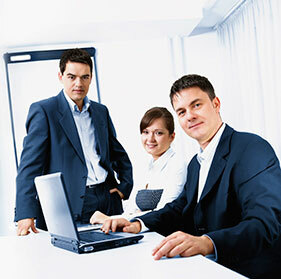 Acting through its global network of partners, we can provide comprehensive solutions suited to your business needs. Our service portfolio ranges from simple network design consulting to complete turnkey infrastructure deployment for our clients. With over 15 years of experience, we are equipped with the right knowledge and tools to take on any IT challenge and deliver solutions on time and within the allocated budgets. Copyright © 2013 Callpad Communication Technologies Limited. All Rights Reserved.